I have this new pad of lovely woodgrain paper, I always get new patterned papers when I see them but I rarely use them for other things than backgrounds for photos maybe. I was thinking it would be cool if you could color the wood so I had to try. 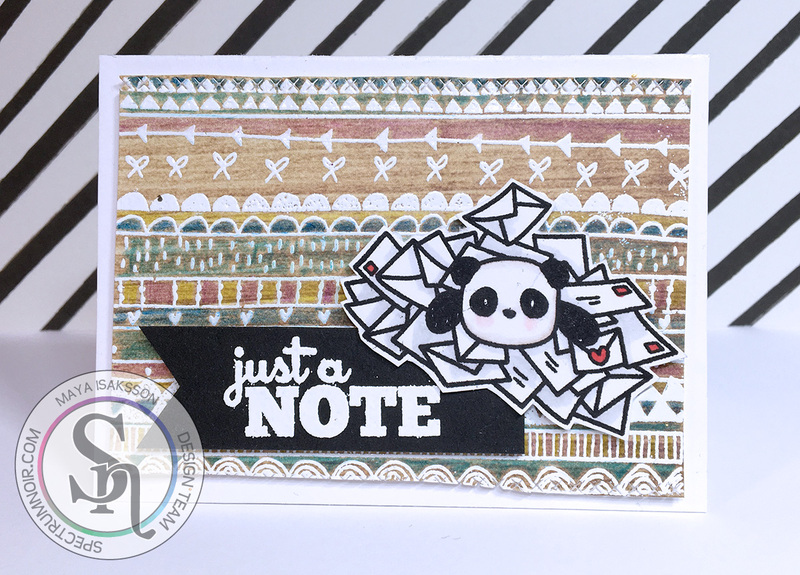 I white embossed a stamp by Pinkfresh Studios and then I colored it in using my Spectrum Noir Colorblend pencils and it turned out really fun. The darker/brighter shades was the best for this if you wanted it to show up clearly. This paper pad is really smooth and the colored pencils works best on a paper with some tooth that grabs the pigments. So one dark layer was fine on this smooth paper but the paper did not grab enough pigment using the lighter colors to make it stand out much. Spectrum Noir BG1, IG1, CR2, Blender and CR9. Blendable Pencils: 063, 071, 043, 038. 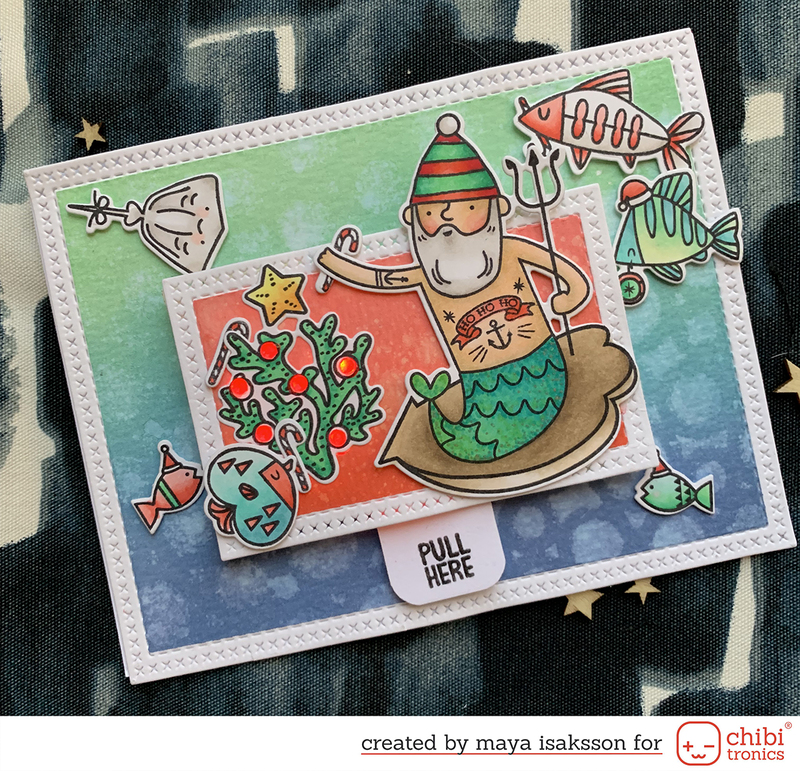 Stamps by Mama Elephant and Pinkfresh Studios.